“I don’t want to live hidden away,” he said during a visit to Paris. His life changed forever on February 14, 1989, when Iran’s spiritual leader ordered Rushdie’s execution after branding his novel The Satanic Verses blasphemous. Like a kind of reverse Valentine, Tehran renewed the fatwa year after year. Rushdie, who some say is the greatest writer India has produced since Tagore, spent 13 years living under a false name and constant police protection. “I was 41 back then, now I am 71. Things are fine now,” he said in September. 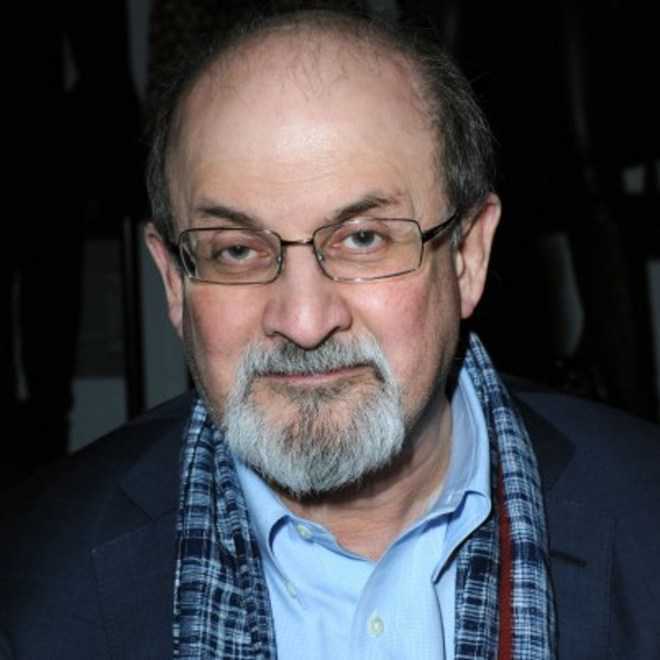 Rushdie stopped using an assumed name in the months after September 11, 2001, three years after Tehran had said the threat against him was “over”. But armed plainclothes police nonetheless sat outside his French publisher’s office in Paris during an interview with AFP. Several others had taken up positions in the courtyard. Earlier, Rushdie had assured a sceptical audience at a book fest in France that he led a “completely normal life” in New York, where he has lived for two decades. “I take the subway,” he said. The Satanic Verses was Rushdie’s fifth book. He has now written his 18th. Titled The Golden House, it is about a man from Mumbai, who much like the author, reinvents himself in the Big Apple in a bid to shake off his past.